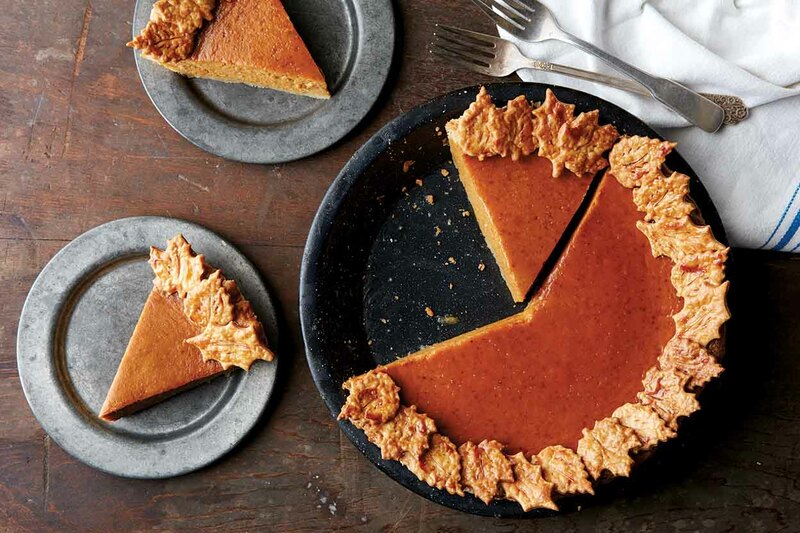 THE TRANSFER OF YOUR ASSETS: AS EASY AS PUMPKIN PIE! As you are preparing for this upcoming thanksgiving dinner, you may come to the realization that while pumpkin pie is a tad bit more complicated to bake than its kin, Apple Pie; it sure is easy to eat! The same rings true for an estate plan that uses advanced planning techniques to provide for an easy transition of assets upon your death. It may be easier to simply make a Last Will & Testament that states your wishes; however, that is going to result in a gruesome probate experience for the loved ones you leave behind. So now you are wondering, what is so special about a Revocable Trust based estate plan? Let us answer this question with another question: If you became incapacitated or died, would you have the following benefits? Absent a full trust-based estate plan, you answer will likely be “no.” A Revocable Trust based estate plan provides all of these benefits, and more. We have already discussed the documents that are imperative to prepare for incapacity (see “You Are What You Eat: Pass The Vegetables”). Now let us take a look at those that provide protection over your assets and their proper distribution. Pour Over Last Will & Testament and Revocable Trust – The will coupled with a revocable trust effectively bypasses probate, which is the validation of the will — a process that is often incredibly time consuming and often expensive. The pour-over will takes all of the property that passes through the will, and funnels it into the trust. That property is then distributed to the trust beneficiaries pursuant to the terms of the trust. A pour-over will functions to ensure that all of the decedent’s property is transferred to trust. Think of the pour-over will as a safety net that catches all of the assets that were not properly transferred into trust. All the contents of the net are then poured into the trust, ensuring that all of the property is ultimately distributed through the living trust. Furthermore, all of the decedent’s property is distributed by the terms of one document alone (the trust), allowing for simplicity and clarity. Assignment of Property to Trust – the assignment of property places all of your property into the trust. This avoids costs, loss of privacy, & headache associated with probate. Therefore, when all of your assets are distributed through the trust, there is nothing within the will to validate. As an alternative, you can merely assign property to the trust that you specifically want to preclude from probate, for the purposes of privacy. For more information on successful Florida estate planning and asset protection techniques, please contact the South Florida law firm of Wild Felice & Partners, P.A. at 954-944-2855 to schedule your free consultation. 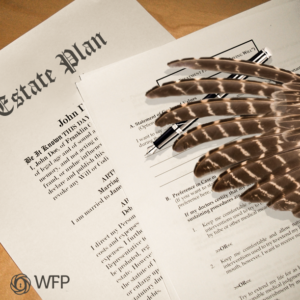 IS YOUR ESTATE PLAN A TURKEY? Children: Sometimes your Will & Last Testament will provide for after-born children, but you should take the document to your estate-planning attorney to ensure that your little bundle of joy is provided for. Additionally, you may want to set up a trust, a 529-college plan, alter beneficiary designations in your will, and nominate a legal guardian. Marriage & Divorce: if you have recently married or divorced, you will want to take your current estate plan to your attorney to determine whether these life events are addressed in the documents. Furthermore, you may want to change your Personal Representative, Trustee’s, Guardian’s, etc. Estate Size Increase: You want to make certain that your estate plans are tailored to your estate size. Therefore, when your estate increases, you may want to make some changes in terms of tax and estate planning. Furthermore, if you have an estate plan that is set up to avoid probate, and acquire new property, you will want to assign that property to your living trust. You also may want to consider a variety of estate planning strategies, anywhere from setting up an LLC to protect certain assets from lawsuits, to reducing the size of your estate for tax purposes. If you have experienced any similar changes or time lapses since creating an estate plan, keep your turkey in its rightful place as an entree, and out of your estate plan — have it reviewed today! It’s a Wild world. Are you still protected? 1. Durable Power of Attorney – this allows you to designate and authorize someone to legally act on your behalf, in the event that you become incapacitated. The instrument will specifically state the powers that you are giving the person that you nominate to act on your behalf. Furthermore, this person must make decisions that are in your best interest, not their own. Take careful consideration in determining who you want stepping into your shoes. 2. Combination Living Will & Designation of Healthcare Surrogate – this outlines important healthcare decisions in advance, and appoints a healthcare surrogate to make healthcare decisions for you when you become unable to do so yourself. Be certain to name someone, otherwise, a proxy may be designated in which you would never chose yourself. You want to chose who’s hands your life is in, right? Whether or not you are what you eat, and what you eat is vegetables — be sure to include medical-related documents into your estate plan, ensuring you have control when you otherwise would not!